Can you guess what the top-five most-played games were from December 2013? We’ve got the answer right here: Bah, Humbug!, MISS UNIVERSE Crowning Moment, Valkyrie Queen, Moon Warriors, and Golden Knight. Play High 5 Casino today and revisit some of these former favorites! 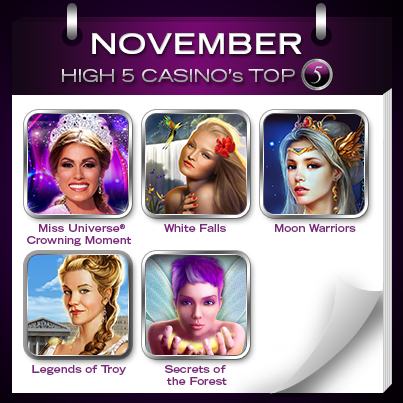 Four new games are set to release to High 5 Casino Mobile this week. iOS players will soon be able to enjoy Figaro, Moon Warriors, Ancient Arcadia, and White Falls on their mobile device. This will make for a total of 40 premium slot games available on the go at High 5 Casino Mobile! As an extra surprise, in addition to these four new titles, we’ll soon be releasing our very first High Limit game on mobile! 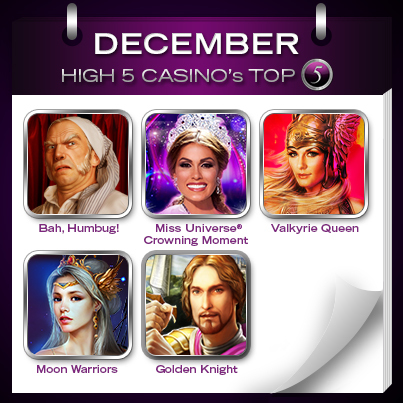 Fan-favorite title Golden Knight will be upgraded to High Limit status on High 5 Casino Mobile, as well as High 5 Casino on Facebook. This is great news for players that don’t have Golden Knight unlocked, because High Limit games are unlocked for all players! Soon everyone will have Golden Knight available to play. If you have any questions about High Limit games, please check out our blog post on the topic from earlier this month, or send our customer care team an email at support@high5games.com. 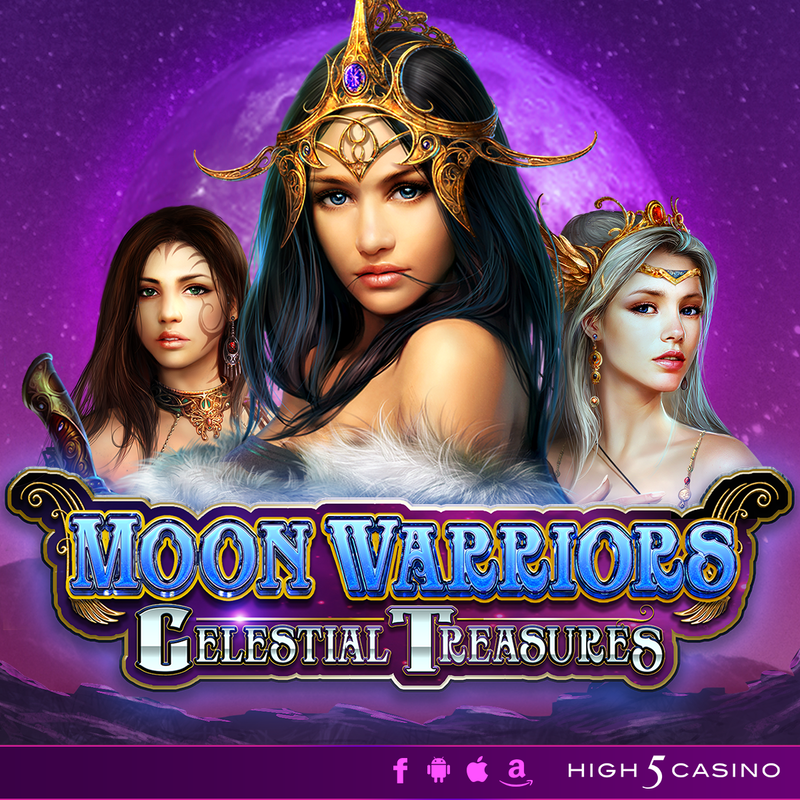 Make sure to go to the App Store later this week and upgrade to the latest version of High 5 Casino Mobile to receive Figaro, Moon Warriors, Ancient Arcadia, White Falls, and High Limit Golden Knight. While you’re there, leave us some feedback so we know what you love about High 5 Casino Mobile and what you’d like to see available to players in the future. That means last month $95,731,342,111.50 was won at High 5 Casino every day! What was your biggest December jackpot? Become a statistic and play High 5 Casino. How many spins do you think you contributed to that mind-boggling total? That’s 1,891 spins per second!